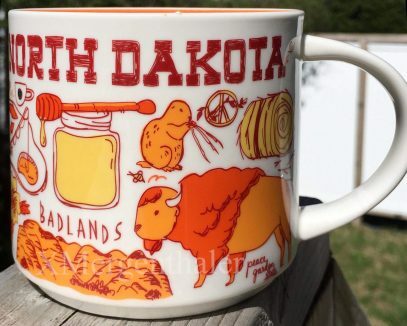 Thanks to a collector, (see watermark), I can finally add Starbucks Been There – North Dakota mug to my site. Again, this is the error mug, so technically this is North Dakota v1 and it’s ultra rare. The fixed version is expected to be released pretty soon, that’s when I will post a side-by-side comparison photo for you guys. But for now, please see this all-sides collage. 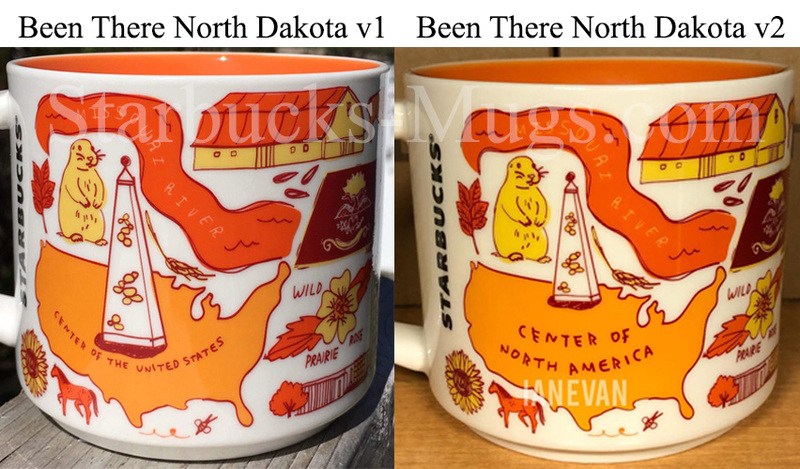 The actual misprint is on the back of the mug, where is says “Center of the United States” which is obviously the reference to the “Geographical Center of North America” monument installed in Rugby, ND. Fun fact, as per recent calculations, the actual center is 145 miles southwest of Rugby, in a town called Center, ND.